Like those that will be reimposed in August, these sanctions also apply to associated services, and therefore all business which engage in dealings related to these industries, such as shipping and those involved in the oil and gas industry, should make sure they are not engaged in activities that may violate sanctions. On November 5, the US government will also re-designate many of the persons and entities who were removed from the List of Specially Designated Nationals (SDN) pursuant to the Joint Comprehensive Plan of Action (JCPOA) in January 2016. Following November 5, engaging in transactions with these persons and entities can subject non-US persons to sanctions. GTR: The EU is anticipated to impose a so-called ‘blocking regulation’. What would this mean for EU firms doing business or looking to do business in Iran? Hansson: The EU blocking regulation has been amended to include the US sanctions that are being reimposed on August 6 and November 5 and is expected to come into effect any day now. Under that regulation, EU persons are prohibited from complying with any requirement or prohibition that is based on the reimposed sanctions. EU firms are therefore between a rock and a hard place when it comes to doing business and complying with the US requirements. It is worth noting that the EU blocking regulation has been in place since the early 1990s and there is little, if not any, record of enforcement. In contrast, there is a long history of the US government enforcing its sanctions programmes against non-US entities. However, many EU countries have stressed their commitment to the JCPOA, so it may be that this could be a new era of enforcement by the EU. GTR: In what way have firms in both the US and Europe reacted to the announcement of these new sanctions? Are they prepared for the deadline? Hansson: President Trump made his announcement the afternoon of May 8, and by 9pm we had received countless calls and emails from both US and EU companies inquiring about what they needed to do to remain in compliance with US sanctions. Those calls and emails have not let up since then. Within weeks of this announcement, a number of large companies announced they would exit Iran. Among those companies are Total, the French oil company, Danish shipping company Maersk, and Peugeot. Since the US announced it would not grant sanctions waivers for European companies seeking to remain in Iran, it seems the number of companies announcing that they are ceasing Iranian business has increased. In sum, most companies are prepared or close to being prepared for the deadlines. GTR: What consequences could firms face if they do not comply with these changes? Hansson: The US takes compliance with its sanction programmes, especially its Iran programme, very seriously. If persons and companies fail to comply with these sanctions, the US has the authority to put that person or entity on the SDN list. US persons are prohibited from engaging in all transactions and services with SDNs and even non-US persons run the risk of being sanctioned if they engage in significant transactions with certain SDNs. GTR: How do you expect the new US stance to impact Iranian trade going forward? Hansson: As I mentioned, the US takes its Iran sanctions programme very seriously and hostilities between the two countries seem to be escalating. I do not expect the sanctions to be reduced anytime soon and I think we will see significant enforcement actions by the Office of Foreign Assets Control (OFAC) against non-US companies. Consequently, I expect to see most companies polish up their compliance programmes, which will then cause companies to withdraw from transactions even remotely related to Iran. 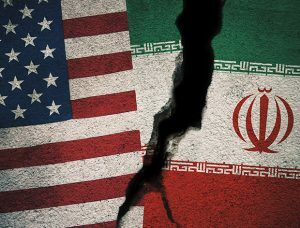 The post Trump’s Iran sanctions deadline: What businesses need to know appeared first on Global Trade Review (GTR).